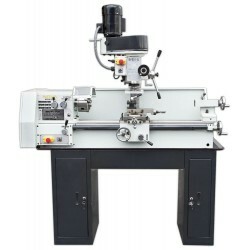 High-quality mini lathe, 350 mm between the centers. 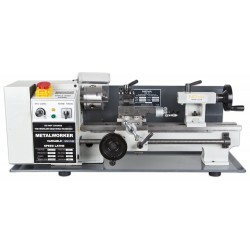 With this lathe you will make precise turnings. Accuracy is 0.01 mm or better. The motor 350 W / 230 V is quiet and with stepless speed control (50 – 2 500 RPM). Range of threads (inches) 12-52 T.P.I. 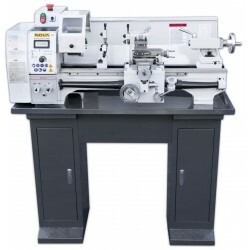 NOVA 20L is a very affordable metal lathe that gets the job done. Excellent model for enthusiasts and experts. 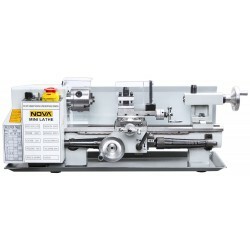 NOVA 25L is a reliable, high quality mini lathe suitable for small workshops and enthusiasts. Equipped with 380V motor. 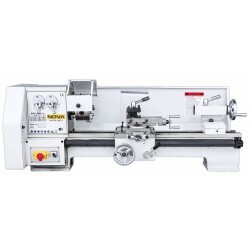 NOVA 25L is a reliable, high quality mini lathe suitable for small workshops and enthusiasts. Equipped with 230V motor. Nova 250VF. Available in three versions. Basic model, 2-axis digital display or frequency converter. 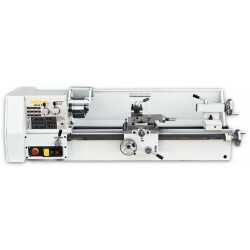 NOVA 25L/3 is a reliable, high quality combination machine. Excellent two in one kit that is suitable for small workshops and enthusiasts. High-quality Nova 290VF x 700 is now for sale from us at consumer-friendly factory price. New model is equipped with 700 mm distance between the centres as well as the automatic longitudinal and lateral feeding. NOVA 6133 lathe with very versatile equipment. Automated longtitudal and vertical feeds.